We are always using our muscles, even when we are sitting down. Daily life can take its toll, from playing a sport regularly to sitting at a desk all day. Our musculoskeletal system comprises of the bones, muscles, ligaments and tendons that enable movement. Overusing our muscles, or other parts of the musculoskeletal system, can increase the risk of injury. In a situation such as this, physiotherapy could be the perfect solution. On the other hand, if you are not actually experiencing any pain or obvious problems, it doesn’t mean that you wouldn’t benefit from physiotherapy treatment. Physio can be used simply to make sure that everything in good working order, and even to possibly uncover any underlying problems. Our treatments consist of so many different aspects that we have the ability to relieve a range of different problems. 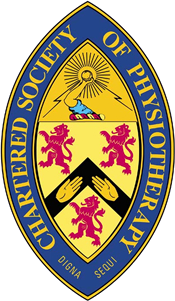 Whether you are suffering from back pain, tendonitis or muscular strains, physiotherapy can be a huge help. Physio can help to look after the soft tissue in your muscles that can become fibrotic if not maintained. Deep soft tissue massage can allow the muscles to relax, ensuring they are less prone to overuse. This can also promote blood supply to your muscles, allowing them to maintain their quality. Treatment at Physio Wellbeing is comprised of various approaches including joint articulation. Tightened muscles will exert a pull on your joints which therefore restricts movement. Massage techniques will help to relax these muscles, while articulation will free the join to allow a return in the range of movement. Strength and conditioning exercises are also carried out to ensure your muscles are strong enough to support your joints. This can help to prevent stress on your joints and decrease the risk of injury. It is important that you don’t put off a physiotherapy appointment, especially if you have injured yourself in some way. If you are experiencing pain, ignoring the option of physiotherapy could worsen your condition. Looking after yourself is crucial, and physiotherapy could be one of the best ways to do it.